The most valuable company in the world right now is Apple. Thanks to the success of the Apple iPhone, the company is currently valued at almost $752 billion. 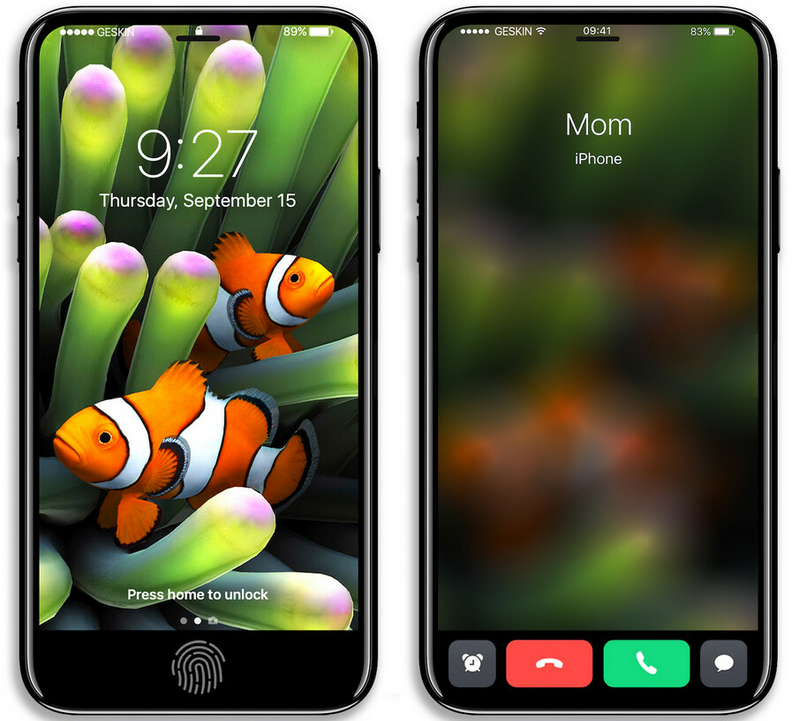 According to an analyst at Drexel Hamilton by the name of Brian White, Apple will be the first company in history to be valued at one trillion dollars, The impetus behind this powerful move higher will be the introduction of the 10th anniversary iPhone model currently dubbed the Apple iPhone 8, according to White. As hard as it is to believe, White notes that Apple is one of the most undervalued companies trading in the U.S. markets. As an example, White points to Apple's 16:9 ratio. No folks, that is not the 16:9 aspect ratio of the iPhone's screen. That is the company's Price-Earnings ratio which means that for every $1 per share in net earnings, Apple's stock price is worth $16.90. Similar companies are more expensive. Firms like Google (31), Amazon (183), and Microsoft (30) are trading at rates nearly twice as expensive as Apple's PE ratio. White says that Apple made a bottom last May and he predicts it will reach $202 over the next 12 months. With 5.4 billion shares outstanding, Apple needs to hit $185 in order to reach the magical $1 trillion mark. And with a new premium priced iPhone on the way along with the Apple Home Pod launching in December, there is a very good chance that investors will respond favorably enough to these devices that before the end of this year, the company will have a valuation that starts with a "T" for trillion. Current Apple stock according NASDAQ is 144.15. To reach 185 that means more than 28% growth. Apple is already overpriced. Such increase is not reasonable. We already know Apple is looking for more ways to take in more money. Even that latest stories in regards to wireless charging won't be on the iPhone 8, but there will be a case that will add that feature. Another example is no micro SD slot on their MacBook pros. Buy a dongle for this and that. Apple is all about taking advantage of the cash cow (their customers). Please, for the love of the Pagan Gods, change that awful profile photo. I don't know if it's a meme or just some s**tty Photoshop, but every time you post I vomit a little. No offence... kinda. HillaryClinton2020 aka Vincent Liu aka Snakeboy has that profile picture only for one reason. Look at the picture closely, you see gloves and a needle, it's a message. This guy did some plastic surgery to be a girl, I am not kidding! Really? I dont care jow much they have. I care what is done with it. And like most companies, theyve done nothing. Actually that's a lie. They have rewrote history and implimented themselves in culture. The iPhone will never be forgotten. If it wasn't because the original iphone. We wouldn't have our modern smartphone now. So yes they actually did something. We would be having modern smartphone like now anyway despite of Apple being there or not. That is false and had been proven so many g8mes. The ev9lutiom2of tje dmartphome shoqed the display was getr8ng bigger. Apple aimply jumped out first. After all Sony designed the ohome to bwgim with, so its obvious somwome had the idea before Apple and consider tge LG Prada. Yoir claim is false and is B#. You need ro read the facts. Wow please, dude. No iPhone, no incredible smartphones today. I understand your frustration Techie, you need sometimes to digest this. You don't have any right to question what one does with one's money! So how much is apple giving you. NOT S**T LMFAO Dude get out of apples azz, they are not going to pay you for you stupid comments. Apple is giving to the world the most innovative devices. Proof: Where is Apple now. Well I own shares of apple, so when they make money, I do too. Cry about it. sissy246 stop commenting on every Apple article you geriatric misfit. And when Apple makes trouble, you will gonna butthurt every time. We always found you that getting butthurt every moment on iPA. Oh no PA. The hate bullets will fly now. Can I borrow your shield Captain America?